If you take a peek at my beauty collection, there's one makeup item that takes over - eyeshadow palettes. 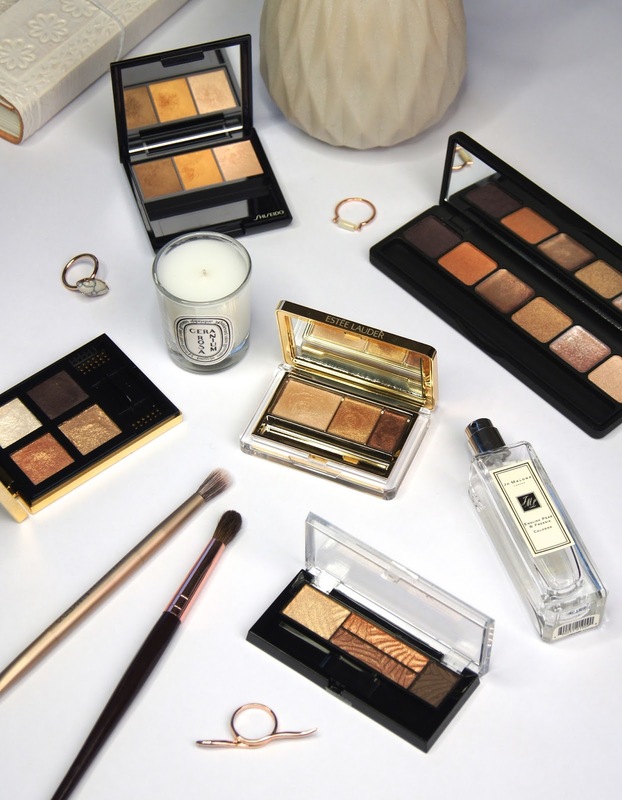 From the heady heights of Tom Ford to the blogger-enabled UD Naked palettes, I've always been suckered in by pretty compacts, especially when they contain golden tones. Being a neutral lover, I've amassed enough to sink a ship, so I thought I'd share a few of my favourites with you, featuring some that won't break the bank and a couple worth splashing out on. If you're looking for an affordable option, then the Sleek i-Lust The Gold Standard Eyeshadow Palette* is an absolute beaut. Containing four, powder shadows and two creams, the one palette allows you to create a multitude of looks, appropriate for both day and night. For such a bargain brand, the textures are impressively smooth and blend-able and the pigmentation is surprisingly good (although applying a primer first boosts the intensity and longevity even further). The cream shadows do crease slightly when worn alone, but I love using them for an undone, imperfect-perfect kind of finish. Just look at that stunning line-up of shades, too! 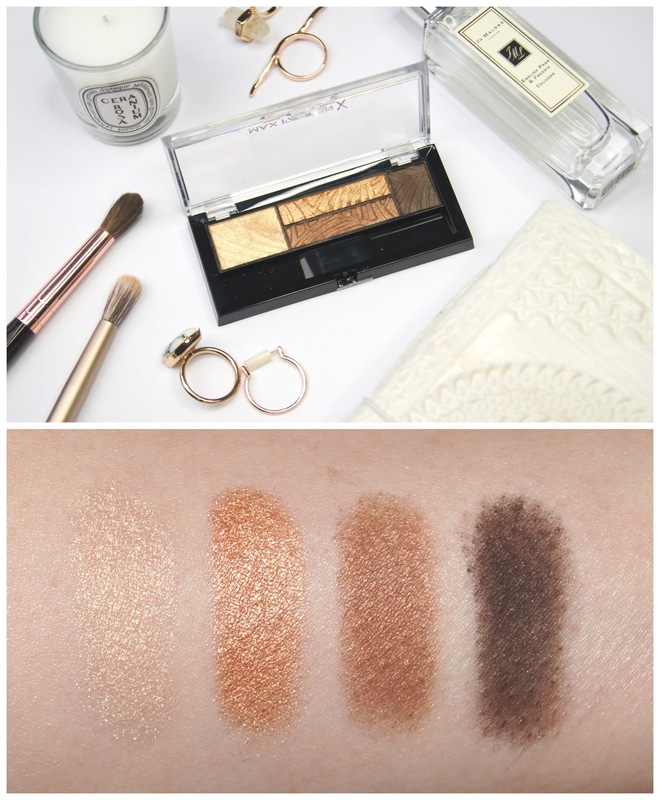 Another high-street palette I've been loving recently, is the MaxFactor Smokey Eye Drama Kit in Sumptuous Gold. Whilst the two, lighter eyeshadows have quite a glittery finish, the two darker shades have more of a satin finish, so can be used to contour and add definition. Even the lightest touch of a brush picks up a heap of product, but the result is quite sheer and pretty when the powders are blended well with a fluffy brush. When packed on with flat, tightly-packed bristles, you can build up the colour quickly, though. What's great about this compact, is the tiny size of it, which is ideal for slotting into your makeup bag when on-the-go or travelling, to give you everything needed to create a warm, smokey eye. If you prefer your golden shades to be a bit brighter and less warm-toned, then the Shiseido Luminous Satin Eye Colour Trio in BR209 is ideal. Texture-wise, these powder eyeshadows are so finely-milled, making them velvety soft and smooth. The colours simply melt into the skin when blended, so I love using this trio when I'm in a hurry and want a quick, flawless finish. Compared to the others I've mentioned, these shadows don't have such a strong shimmer to them, making them perfect for daytime looks or for people who prefer a less in-your-face finish. If you want a palette that can give you an ultra-glam, sparkly result, then look no further than the YSL Pure Chromatics Wet & Dry Eyeshadow Palette in 20. Used dry, these shadows give a sheer, glittery look, but when mixed with a drop water, the drama is ramped up and an opaque, metallic gleam can be achieved, with the intensity guaranteed to last all day/night. I always pull this palette out when I'm heading for a night on the tiles and I always get compliments on my eye makeup, whenever I use it. Plus, the luxe, decadent packaging that YSL always create is pretty hard to resist! The formula of the Estee Lauder Pure Colour Eyeshadow Trio in 05 Gilded Chocolates is what sets this palette apart from the rest. Although they're powder eyeshadows, you could be fooled into thinking they had a cream consistency, thanks to the gel-like, buttery-smooth texture and amazing longevity. Even with just one swipe of your brush, these shadows give such strong pigmentation that refuses to crease or fade for around ten hours. Again, this is another palette perfect for carrying in your makeup bag, as it's so small and includes a handy mirror in the lid. Which of these palettes do you like the most? 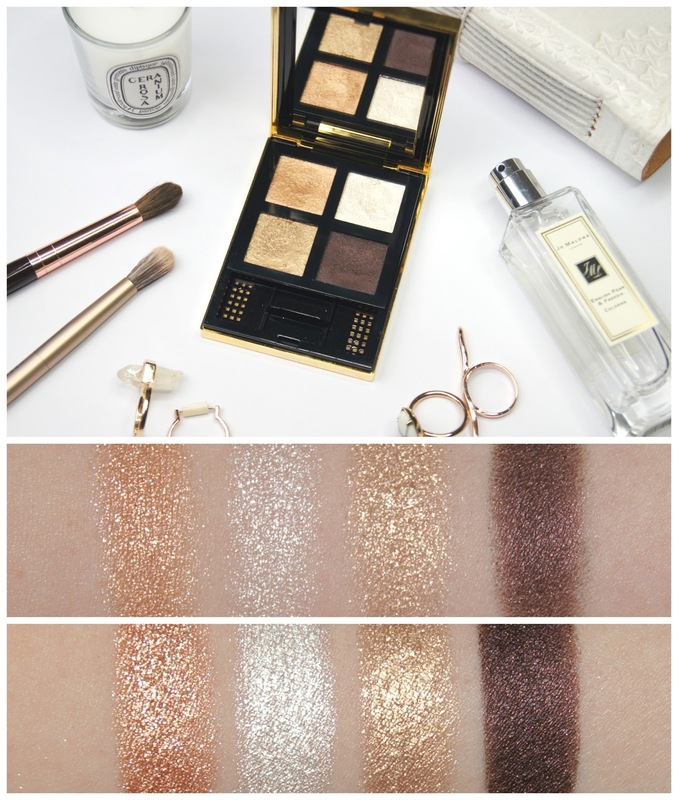 These are all such gorgeous palettes!I love gold eyeshadows, they're really nice with dark hair and eyes. The YSL palette - wow, stunning. I never feel like I suit golds all that much, despite them supposedly being perfect for blue eyes, I think the rest of my makeup is always so rosey toned that it doesn't match. 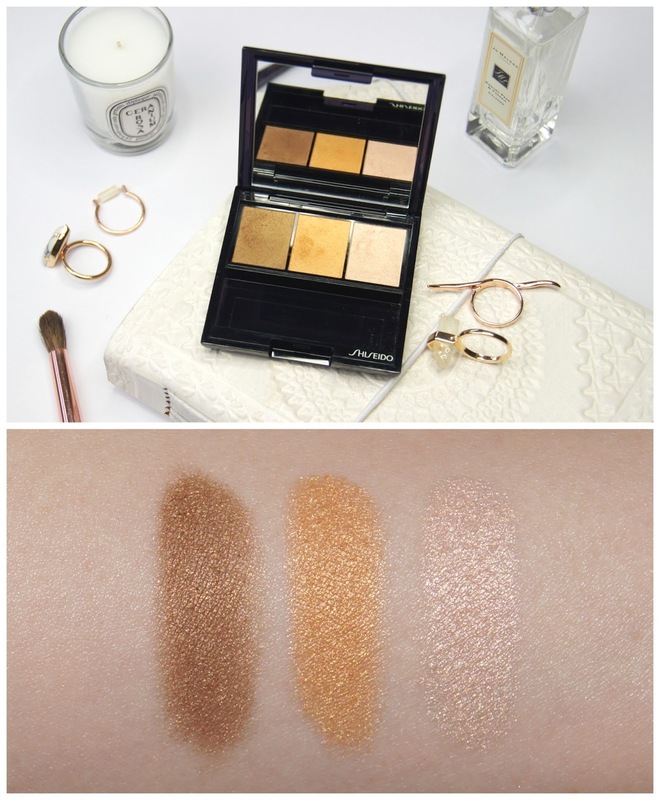 My favourite however is definitely Charlotte Tilbury's champagne diamonds, have you tried it out? Max Factor one looks stunning! I do wish Sleek is easily available here in Canada but the only way to buy (as I know) is through Amazon.ca and it's so darn expensive! That YSL eyeshadow quad though, wow...that's a real stunner. I love the look of them all - think the YSL one is my favourite! I spy Estée Lauder with my little eyes. And I love it. Actually, I love all the brands - I have yet to make the bold move to wear gold eyeshadow, but I might. I just might. When they look like that I don't think anyone can really resist it. Can't believe that palette is SLEEK! It looks high end! Those palettes look gorgeous! Those shades are seriously right up my alley! one more pretty than the other! The Sleek palette is so beautiful! I had never seen it before! Strangely enough, the MaxFactor one is the one I like the best judging by the swatches. Gold is something I do enjoy greatly wearing on my lids, so I have quite a collection of similar shades as well. beautiful shades!! craving for all of them! and the YSL pallete is so stunning! 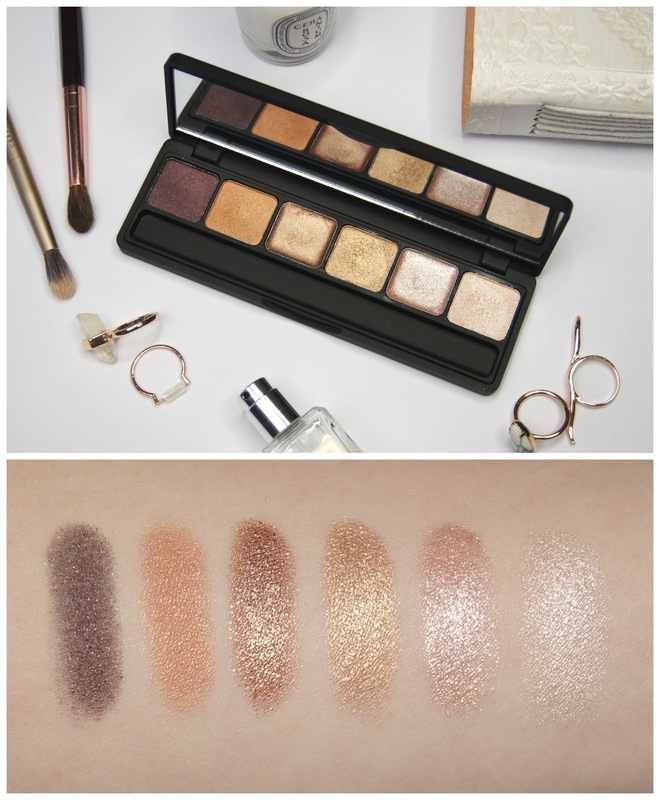 Sleek is always such a great affordable option for makeup and the shades in the i-lust gold palette look so vibrant. I am however drawn to the shades in the YSL Pure Chromatics Wet & Dry Eyeshadow Palette. How gorgeous is that deep shimmery brown! I think that one has to be my favourite. 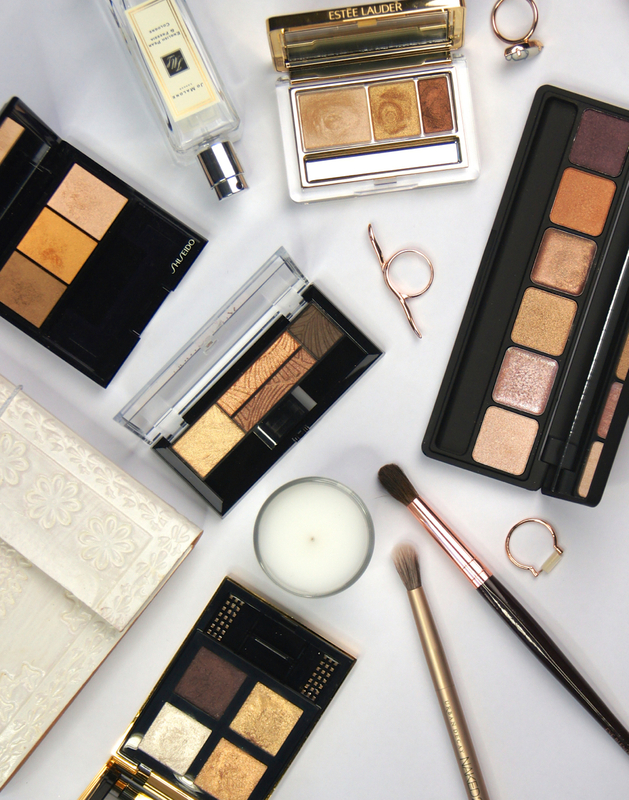 Fab post lovely, you’ve chosen some really gorgeous palettes. The Sleek I-Lust palette looks so stunning and the shade range is stunning, I’ve not tried Sleek in ages so will definitely have to go and check this out. Wow the EL Gilded Chocolate palette looks stunning and I agree the consistency does look really creamy!! What a nice selection of golden hues! The MaxFactor one is really cute and probably a great value, but I'm most impressed by the Estée Lauder trio. The shades look absolutely gorgeous! 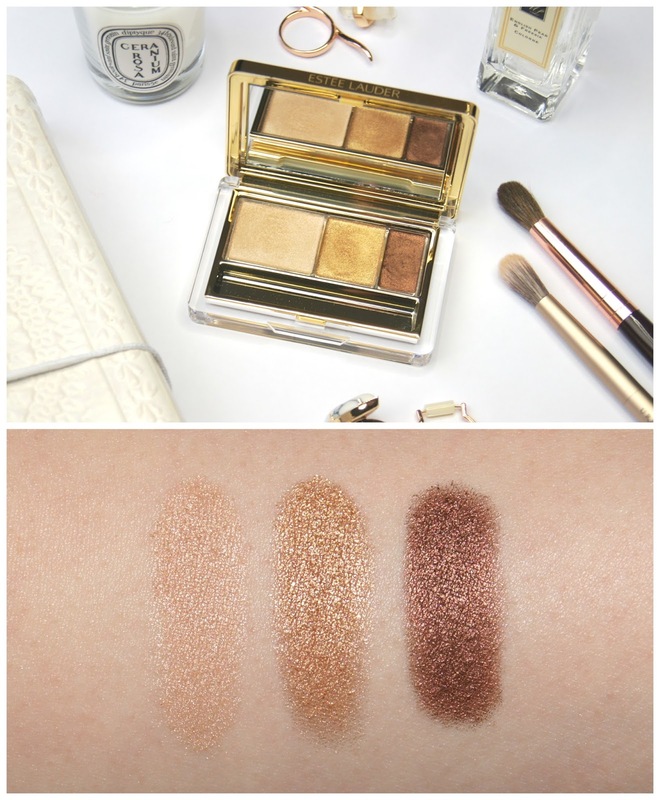 Golden palettes are just perfection! I think that Sleek palette is very comparable to the high end ones you mention in this perfect post! Loved reading this, your photos are stunning too, brilliant job!